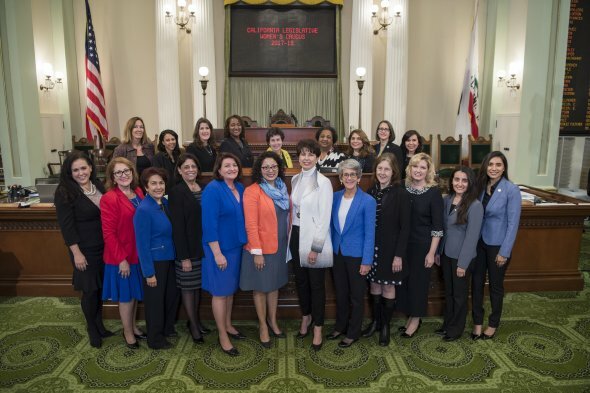 At the start of the 2019-2020 legislative session, the California Legislative Women’s Caucus had increased its membership to 36 members. It is one of the largest women's caucuses in the nation. Of the 36 members, there are 13 women in the Senate and 23 women in the Assembly. Of those 36 women, 31 are Democrats and 5 are Republicans. In sharp contrast to the first women’s caucus in 1985, many of today’s elected women serve as Chairs and Vice-Chairs of the Senate and Assembly policy committees, as well as, leadership positions in both parties. In a historic move, the Senate has elected its first woman President pro Tempore, Senator Toni G. Atkins. She works alongside Minority Leader, Senator Shannon Grove. It is the first time that two women lead the Senate. Women continue to break barriers in the Legislature through their own personal stories of triumph in elective office. The California Legislative Women's Caucus was formed in 1985 by nine Democrats and six Republicans. These groundbreaking women included included Assemblymembers Teresa Hughes (D), the caucus's first chair; Maxine Waters (D); Sally Tanner (D); Gwen Moore (D); Marian L. Follette (R); Cathie Wright (R); Doris Allen (R); Lucy Killea (D); Sunny Mojonnier (R); Gloria Molina (D);and Bev Hansen (R); and Senators Diane Watson (D); Rose Ann Vuich (D); Marian Beregeson (R); and Rebecca Morgan (R). The purpose of the Women's Caucus, according to bylaws, is to "encourage collegiality, participation in and cooperation among elected women in California government and to promote the interests of women, children and families through legislation." The bylaws also state that the California Legislative Women's Caucus is open to all women members of the California Legislature. The chair of the Caucus is alternates yearly between a member of the Assembly and member of the Senate, and the vice chair is elected from the opposite house of the chair. Riding on the coattails of the Progressive Era, the first four women were elected in 1918 to the State Assembly. Grace Doris, Esto Broughton, Anna Saylor, and Elizabeth Hughes were re-elected but lost their seats to men by 1924. Over the next 50 years only 10 other women served in the Assembly. Rose Ann Vuich was a second generation Serbian-American from the farm town of Dinuba, located on the outskirts of Fresno, California. Her political career was launched in 1976 when she was chosen to replace the presumed Democratic candidate, who had withdrawn from the race. It was assumed that her Republican opponent, an Assemblyman, was unbeatable. The Democratic Caucus viewed Vuich as sincere, but naïve. They thought her indefatigability and grassroots understanding of the district was more old-fashioned than practical and remained unconvinced that she could compete with her opponent's connections and political wiles. 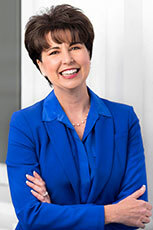 As a result, Vuich had little money for her campaign. However, she had enough for a thirty-second television piece mocking her opponent for voting to fund Southern California freeways while failing to appropriate money for Highway 41 in their own district. She blamed him publicly for the "freeway to nowhere." The criticism caught fire and the "Freeway Lady" won the race. As the state's first female Senator, Rose Ann Vuich made a habit ringing a bell several times a day when colleagues addressed the collective members of the Senate as "Gentlemen," failing to note that the chamber was no longer an exclusively male domain. And it was Vuich's election, not the Capitol's extensive retrofit in the 1970's, that made necessary the conversion of a closet into a women's bathroom. The bathroom, located behind the Senate floor, is still referred to as "The Rose Room." Vuich was not a commanding speaker, yet she had a piercing intelligence and could handle the spotlight when necessary. On the issues, she was a key vote against a costly Los Angeles prison and said no to the confirmation of Dan Lungren (future attorney general and Republican nominee for governor) for state treasurer. The latter drew the wrath of statewide politicians who vainly sought a strong candidate to oppose her. Vuich, who reflected the conservative make up of her district, was re-elected three times. A strong advocate for agriculture, she made a habit of bringing fresh produce to the Senate and withholding it from hungry colleagues until she explained how beneficial the agricultural industry was to the overall health of our state. Vuich served when politics could be a profession, and legislators had time to master the issues they cared about. She traveled extensively and authored legislation that created the California Trade and Commerce Agency. She also wrote California's "Agricultural Export Finance Program," which became a national model. After sixteen years in the Senate, a time when she proved that graciousness was not a sign of weakness and that being a woman was not a barrier to providing daring leadership, she retired in 1992. 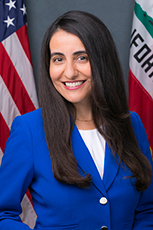 The election of Rose Ann Vuich, the farm kid from the Central Valley, marked the beginning of positive change when subsequent women legislators joined her in shaping the past quarter century. She will forever remain as a symbol of great leadership to all women.